If you know me or are familiar with this blog, you've probably already realized that I am a HUGE supporter of higher education for paranormal investigators! In a field as dynamic as this one that incorporates so many different disciplines, there is always something to learn. One area where I definitely see a need for more training and education is the field of photography. While there aren't any real 'experts' in the paranormal field (how can you become an expert or even receive any type of certified credentials to study something that isn't proven to exist?) a good bump to the resume is being proficient and knowledgeable in the photographic process. 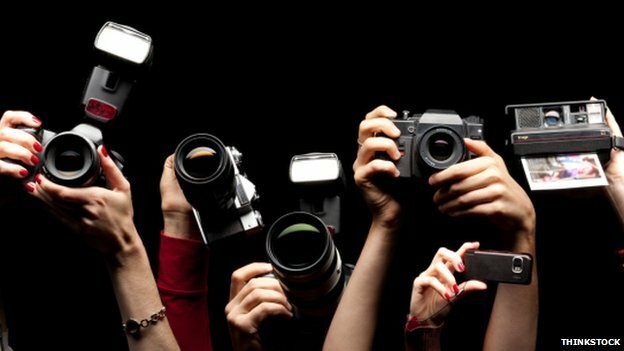 A little knowledge of photography can go a LONG way in adding integrity to both your evidence collection and your analysis of possible evidence. Obviously, nothing beats hands-on experience, but taking a live class can be hard for those who are already busy with careers, family, and other pursuits. Plus, it can get expensive! That's why I've compiled this short list of completely FREE photography courses available ONLINE! I have personally taken each of these courses myself and recommend them. I think there's enough here that anyone, from the complete beginner and up can learn a little something will be come in handy. There are literally tons of different photography courses out there, so if you find one that isn't on the list that you recommend, please let me know and I'll be happy to add! Digital Photography by ALISON Courses--This is an intense, but extremely thorough lecture series offered FREE through ALISON Courses by Harvard University. After working your way through 12 modules, which contain varying numbers of lecture videos each, you have the option to take the course assessment and earn a certificate of completion. Topics include an extensive view of the inner workings of the digital camera, focusing on the DSLR, exposure, light, optics, etc. You may start this class at any time and work your way through it at your own pace. The Art of Photography by Open2Study--This class is taught by Dr. Shane Hulbert of RMIT University, and even though it is geared more towards the artistic application of photography, there is plenty of excellent information useful to the paranormal investigator. There are four modules within this course, each with 10 videos each. Each week you work your way through a module, taking a one-question quiz after each video, followed by an assessment of the whole module after the tenth video. Topics covered include the different settings on your camera and what they mean, the meaning of RAW and why it should be used, image editing software, how the aperture and shutter speed works, etc. This course is designed to take 4 weeks to complete. It runs every 5 weeks, with the next session beginning on September 7, 2015. FreePhotoCourse.com--Not interested in a traditional course format with quizzes and assessments? I'd recommend this series of tutorials and education from Free Photo Course. You can read through the material, complete with reference photos at your own pace and not have to worry about deadlines or tests. There's some great basics here, including a brief history of photography, which was a nice addition.